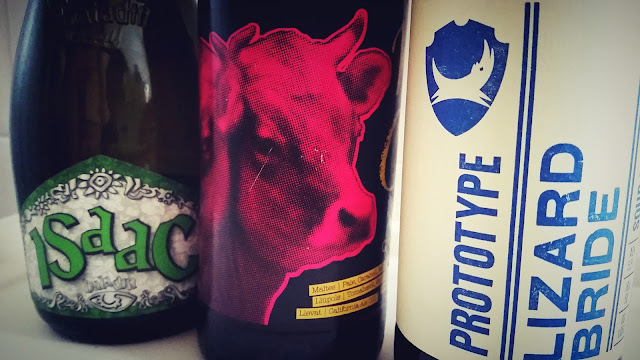 One way to innovate is betting on groundbreaking products, and Brewdog has always had a major commitment in this regard. In this case, Lizard Bride is a pretty extreme beer, with an IPA base vaguely reminiscent of Punk, and supposedly loads of berries. Its red burgundy looks are very attractive, as well as its intense fruity aroma, although fruit seems to be too intense for the rest of the beer to shine, at least until it has significantly warmed. It leaves a pleasant velvety feel in the mouth reminiscent of the sensation of eating certain wild berries, with its acidity and the fine balance between bitterness and sweetness. 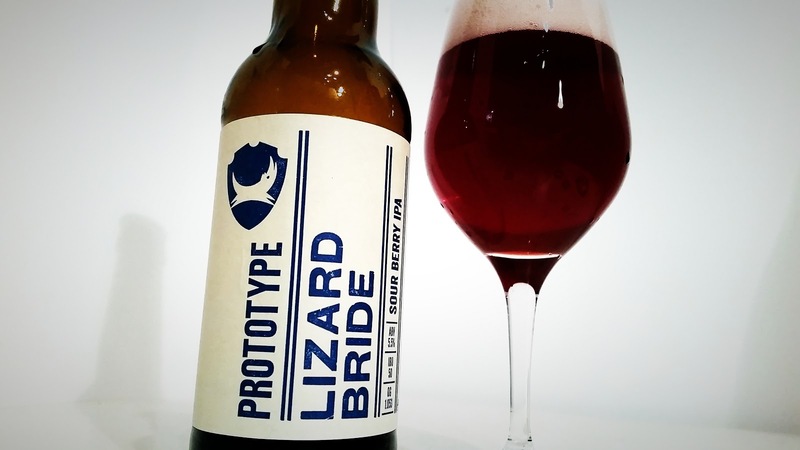 In the end, you realise that, as it is stated in the label, it is neither more nor less than a Sour Berry IPA prototype. But a good, funny prototype for the palate, full of flavor at just 5.7% ABV. 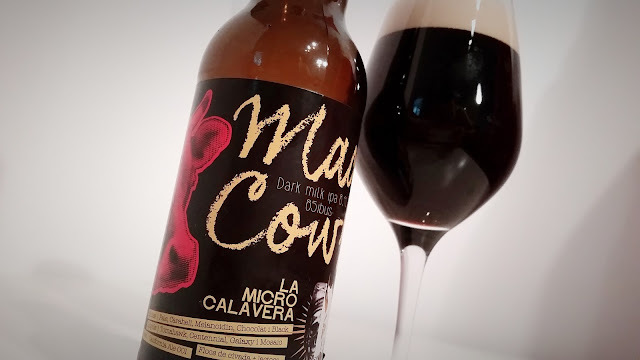 Collaboration brew made by La Calavera and Ivan Bertran, from La Microcerveseria. Mad Cows is a daring mix of two types of common beer styles such as the oxymoronic Black IPA and Milk Stout. Hard to imagine beforehand that a balance between the character of both styles can be found. Yet the combination is really original and well-made. The beer gets the best of each style, with its citrusy and slightly tropical hoppy profile and the creaminess of beers with lactose, with some additional complexity in the flavours of cereal and a very bitter and hoppy finish, ostentatiously highlighting its 85 IBUs. A bit rough, though, as it sometimes occurs in recipes including Galaxy hops. It is quite surprising to read that it reaches 8.4% ABV, since alcohol is fantastically integrated. A special mention to the fact that each of the ingredients used are mentioned in the label. Along with Super, it was the first Birra Baladin to hit the market, in 1996 -incidentally, it is also the first one I tried, almost five years ago-. Back then, to recover the lost graes of great Witbiers was indeed innovative, and today Isaac is possibly one of the best in this style. In this case, there are no eccentricities to be found, but a great aroma and flavour intensity despite its being quite low in alcohol. 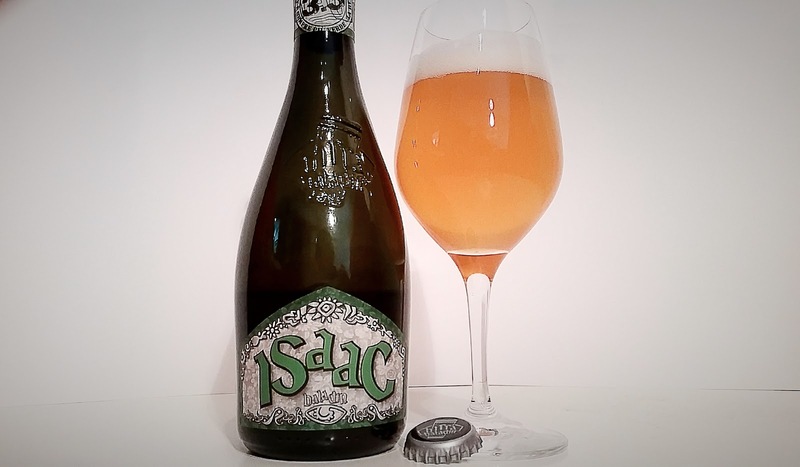 Balanced on all sides, it has a nice spicy profile, provided by the yeast and the inclusion of coriander in the recipe, in addition to fine hints of cereal. Soft, slightly dry and finely carbonated, it leaves a great velvety feeling in the palate. An attractive golden to amber coloured beer. A perfect appetizer.